Jim Johansson, aka JimShootsFilm, has been a huge part of Bison for around 6 or 7 years now, heroically letting everyone in the bigger room know when the market is over so folks can pack it up and count their gigantic sacks of moneys! We love Jim's work and it is so fascinating to see his work in a stunning large format. This is what Jim has to say of his work: "I am a photographer drawn to the margins of places, people, and things. I shoot only on film, using two old (and handsome) Swedish Hasselblad cameras." You can keep up with Jim's progress on instagram/twitter (@jimshootsfilm) and read on down below to get a glimpse of what inspires our Jim to create! JIM: I think, in the end, I equate photography with exploration. Exploration of new places, new things, new people, new aspects of the otherwise familiar. Taking photos is a giant shot of dopamine to the never-satisfied exploratory part of my brain. JIM: I've been experimenting lately with printing my photos in a really large format, using super lo-fi techniques. 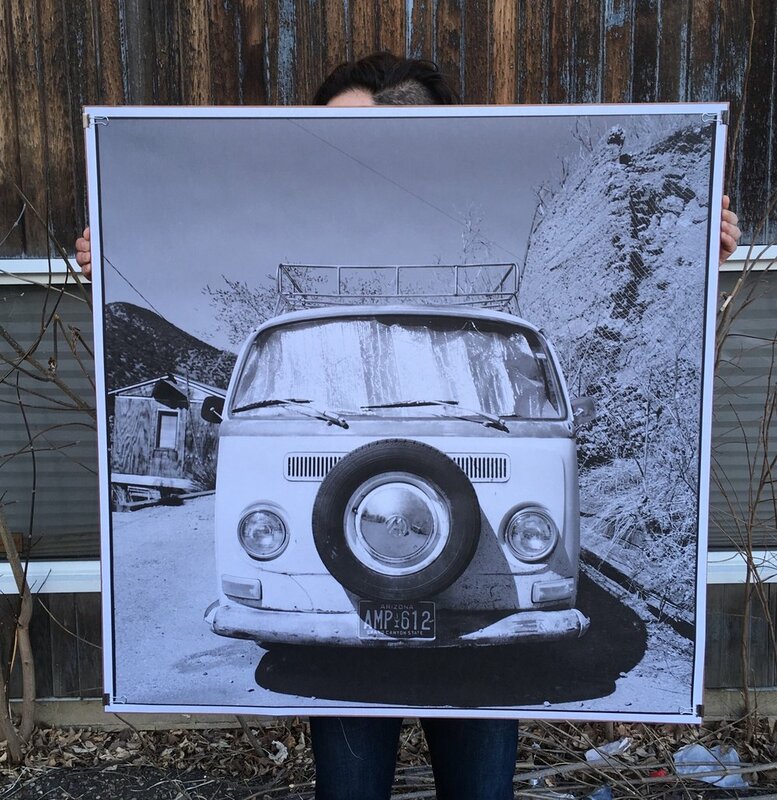 Working with a local print shop, I've figured out how to print three-foot-square black and white prints using an architectural plotter, which is certainly not designed to print photos. The results are these really satisfying, grainy giant prints that work so well with black and white film photos. JIM: Playing more with these really large format prints. How big can I make them? Oh, and a trip to Australia in June - I can't wait to explore/photograph the outback. JIM: This may sound weird and unrelated, but I've really been into 70s French philosophy and theory. I love the work of Michel Foucault and Michel de Certeau and it has really impacted the way I think about power and resistance, two themes that come up a lot in my photography. Their work has helped me place it all within an endlessly fascinating theoretical framework. Oh, and I absolutely love the work of Russian filmmaker Andrei Tarkovsky. I swear every single shot he's ever taken makes me drool. www.jimshootsfilm.com <<< head on over to Jim's portfolio site to check out the rest of his stunning work!